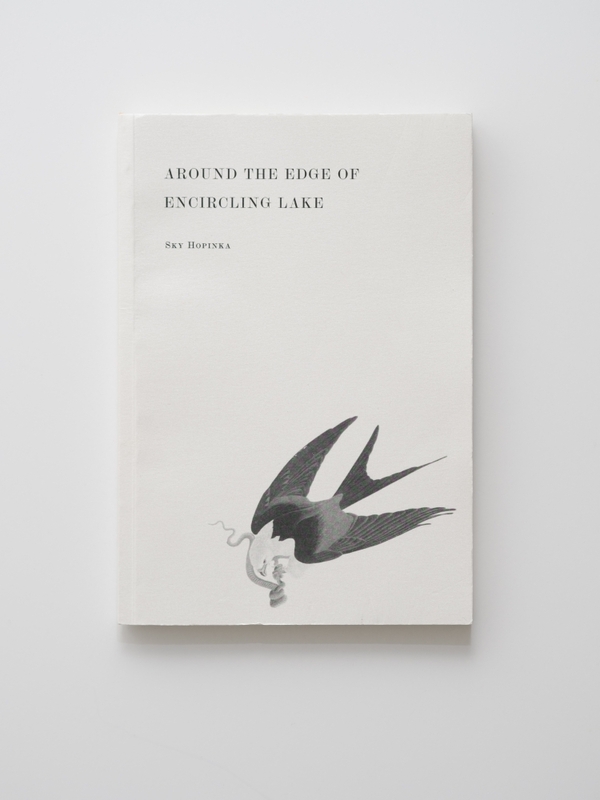 A collection of writings, essays, and calligrams, framed behind movement through the Encircling Lake, a Ho-Chunk way of describing the boundaries of the earth. The calligrams take the shape of effigy mounds and intaglios, and the writings maneuver between the complicated relationships of family, identity, and their intersections within Hopinka’s video work. 91 pages.